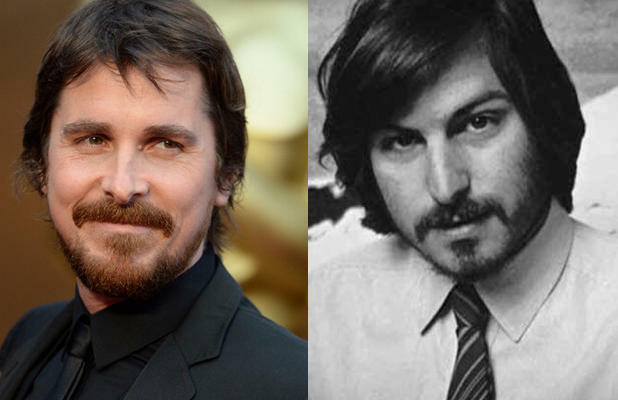 Actor Christian Bale is in talks to play the leading role in the upcoming Steve Jobs biopic being produced by Sony, reports Variety. Leonardo DiCaprio was originally in talks to play Jobs, but withdrew from negotiations earlier this month. Penned by Aaron Sorkin, the Steve Jobs biopic was originally set to be directed by "The Social Network" director David Fincher, who was said to be in talks with Sony earlier this year, but the director title went to Danny Boyle instead, who also directed the hit movie "Slumdog Millionaire." When David Fincher was still attached to the project, he reportedly was hoping to cast Christian Bale in the lead role due to his undeniable resemblance to the former CEO. Christian Bale is also known for his ability to adapt to roles, shedding and gaining weight as necessary to accurately portray characters. Ashton Kutcher famously starred as Steve Jobs in the "JOBS" movie that focused on the former Apple CEO's younger years, but the Sony film will be quite different, using material from Walter Isaacson's Steve Jobs biography. The film, which has yet to receive a release date, will focus on three separate 30-minute scenes depicting three of Apple's product launches. My favorite part is when Steve Jobs fights Bane in Mordor. How many more of these movies can be made? Seriously. The Kutcher one was low budget garbage and doesn't count. Should make for some realistic bullying scenes! I always thought Bale would be good at the part because he can bring that certain intensity to the role that SJ was known for. Oooo, I can definitely see him doing a GREAT job on portraying as Steve Jobs! Great actor. With the exception of the facial hair, I don't really see the resemblance. Honestly feel that Noah Wyle was a great fit in the past. But there is more in acting, and a performance than just looks. Hopefully his known skill will make it an awesome role. How many movies have there been about all kinds of random people? Why does it matter? I think one of the biggest problems with these movies coming out about Steve is that Steve passed away not too long ago and because of that everyone still has a pretty fresh image and opinion in their mind of him. I think a movie about his life would be much better if it were made and released 5-10 years from now or longer when we didn't all still have that fresh image in our minds of Steve. Facebook movie did rather well, and those people are still alive. YOU WANT ME TO TRASH YOUR LIGHTS? Does anyone remember that YouTube vid of him losing it on the set?